Mary was a lovely woman, or at least so she'd been told. Her eyes, though set perhaps a bit too close, were clear and icy blue, and her cheekbones were high and delicate, balancing an aggressive jawline. Her thick dark hair curled fashionably around her ears in natural waves; she resolutely ignored the silver blossoming from her temples. And the corners of her mouth, simply by fate and the damnable influence of her ancestors, turned down. This gave her a perpetual look of hauteur and disapproval, when she might in fact be pleased, or happy, or concentrating, or daydreaming. But if she were honest with herself it was usually disapproval, which she felt acutely at the moment. She checked her watch yet again; he was late. She had rushed back that afternoon from the Tunis Grand Prix to scrape off the dust and settle her face into something approaching civilized before the party. "Why a cocktail party, for God's sake," she muttered, tapping her blood red lacquered nails on the railing. He wanted the cover of a crowd, but she had most definitely had enough of crowds for one day. Early that morning Mary had left her hotel, catering to English tourists like herself, in a state of nervous excitement, and as a result had been entirely too early for the race. With a few hours to kill, too excited to sit and eat or take coffee, she'd wandered the small center of Tunis. The nouvelle ville, built by the French over the fifty years of their occupation, was grayly chic and European, with tree-lined streets and grand colonial government monstrosities, an attempt to re-create France on the southern shore of the Mediterranean: lovely, but terribly boring. In contrast, the vieux ville of Tunis was a sea of geometric chalk-white buildings piled on top of each other like a poorly executed cubist painting, interspersed with graceful domes and spiky minarets, winding streets and souks, where the men wore scarlet chechias and the women were clad head to toe in pale yellow sefseri. She wandered the alleyways of the vieux ville and poked her head into the cramped stalls of the souks, following her nose to the perfumers' street, passing tiny cafés lined with men smoking and arguing. Despite her fascination, it was the anxiety of the crowds, the hot press of bodies and breath, the muttered and cried Arabic that she couldn't understand, which drove her out through the Porte de Paris and back into the nouvelle ville as the faithful were called to the lunchtime Zuhr prayer. She made her way to the Carthage street circuit and took a seat in the front row of the grandstand, a prime spot right under the "B" in the Café's Bondin sign. It afforded her a brilliant view of the crews and the cars, and if she craned her neck just right, she could see Wimille and his Type 59 Bugatti on the front row, next to Varzi and his sleek Auto Union. So intent was she on the cars and drivers, she hardly realized the stands had filled in around her. The engines roared to life, and a thrum of excitement passed through the crowd as the rest of the cars took their places on the starting grid. If she couldn't drive, watching was the next best thing; she'd do almost anything to be there. Including helping John MacPherson. 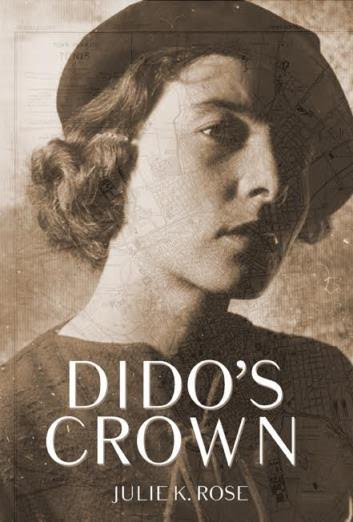 Set in Tunisia and France in 1935, Dido’s Crown is a taut literary-historical adventure influenced by Indiana Jones, The Thin Man, and John le Carré. Mary Wilson MacPherson has always been adept at putting the past behind her: her father’s death, her sister’s disappearance, and her complicated relationship with childhood friends Tom and Will. But that all changes when, traveling to North Africa on business for her husband, Mary meets a handsome French-Tunisian trader who holds a mysterious package her husband has purchased — a package which has drawn the interest not only of Britain’s Secret Intelligence Service, but the Nazis as well. When Tom and Will arrive in Tunisia, Mary suddenly finds herself on a race across the mesmerizing and ever-changing landscapes of the country, to the shores of southern France, and all across the wide blue Mediterranean. Despite her best efforts at distancing herself from her husband’s world, Mary has become embroiled in a mystery that could threaten not only Tunisian and British security in the dangerous political landscape of 1935, but Mary’s beliefs about her past and the security of her own future. Julie lives in the Bay Area with her husband and rescue cats, and loves reading, following the San Francisco Giants, and enjoying the amazing natural beauty of Northern California. Her forthcoming historical adventure novel, Dido’s Crown, will be released in September 2016. 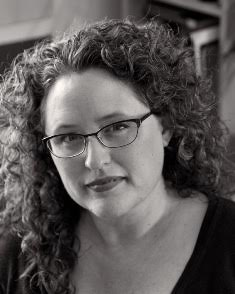 Oleanna, short-listed for finalists in the 2011 Faulkner-Wisdom literary competition, is her second novel. The Pilgrim Glass, a finalist in the 2005 Faulkner-Wisdom competition and semi-finalist in the 2009 Amazon Breakthrough Novel Awards, was published in 2010. For more information, please visit Julie K. Rose’s website. You can also find her on Facebook, Twitter, Pinterest, and Goodreads. The Tip of My Wish List - Zombies!! !